French data protection authority raises concerns over how WhatsApp shared user data with Facebook for “business intelligence” purposes. France's data privacy watchdog is closely scrutinizing the messaging platform WhatsApp over how the company is breaking French privacy law by sharing user data with its parent company Facebook. 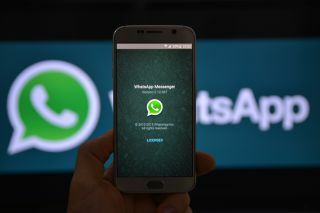 CNIL, the French data protection authority, has given WhatsApp one month to comply with its order before it places sanctions on the company over obtaining and sharing user data with the social network without consumer consent. Facebook purchased WhatsApp in 2014 and two years later the company said that it would begin to share user data from the messaging app with its social network. This raised concerns among European privacy watchdogs over whether or not the two companies would appropriately obtain consent from their users. The regulator noted that transferring user data for security purposes was essential to the app's functionality but this did not apply to Facebook utilising that same data for “business intelligence” purposes aimed at improving the performance of WhatsApp. Currently European data protection authorities can only levy small fines against businesses though is set to change next year when a new EU privacy law will allow them to impose fines of up to four per cent of a company's global revenue.